2016 is going to be a mega year in tech as design and innovation continue to make huge splashes on the tech scene. The latest round of conferences is sure to provide the hottest updates, reviews, and workshops, as well as fascinating discussions with industry influencers and leaders. Working with peers in your field is a great way to drive your career forward and build expertise. 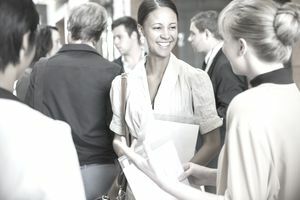 Whether it's through casual meetups or large-scale conferences, connecting with others face-to-face provides the opportunity to collaborate. Stay in the loop with the latest deep learning and artificial intelligence developments, and explore their impact on the way we conduct business and deal with each other. Learn from over 300 innovators driving the A.I revolution, and network with entrepreneurs, technologists, scientists and business leaders in the field. Fluent is the only conference that covers all the big players and rising stars in web technology and tools of the web-stack. This includes the big front-end development technologies and other leading frameworks. More than 75 experts and innovators will discuss major issues across the web platform and shed light on the way forward. This year’s conference serves up more professional training, deep content, and opportunities to network with fellow web professionals. With over 150 in-depth sessions and hands-on labs, Summit looks at ways to work with your content and data in the most effective manner to facilitate quality user experiences with your products. And with great networking opportunities and focused learning, Summit offers the best in digital marketing conferences. Already Europe’s biggest tech conference, Collision is now stateside and is becoming the fastest growing tech conference in America. Rub shoulders with CEOs from some of the largest companies in the world, some of the biggest start-ups out there, investors and media. Forbes called last year’s conference “offbeat and wacky,” while The Huffington Post reviewed the conference as “a celebration of the disrupters, the dreamers...” Factor in the famous Jazz Festival that takes place in New Orleans before and after the conference, and it’s sure to be packed with plenty of out-of-the-box learning opportunities and fun! A conference for web developers and product professionals who are looking at the future of the web. Developers will be able to pick up new skills to continue the upward trajectory of their field. Attendees will have the chance to review and collaborate on the latest moves in design, web development, content and branding, and product strategy. Bringing together the largest gathering of designers and creative minds, HOW Design Live offers 5 days of striking content across 7 programs, including design and creativity, vision and leadership, and tools and resources showcasing the best options to be at the top of your design game. Another conference for those in the industry who see things in a whole different light, creative types, entrepreneurs, innovators, investors, philanthropists, and business professionals come together at The Social Innovation Summit to discuss the next big moves and to collaborate to make them happen. Social entrepreneurship has a big role to play in social progress, and the conference brings together great people who inspire and lead the way to action. Collaboration, learning, and innovation are at the frontline of all the biggest tech conferences, and the list of events you’ll want to check out goes on and on in cities across America and, indeed, the world. Make sure to bring your business card! What Are Computer Forensics Jobs? What is Information Technology Infrastructure Library?